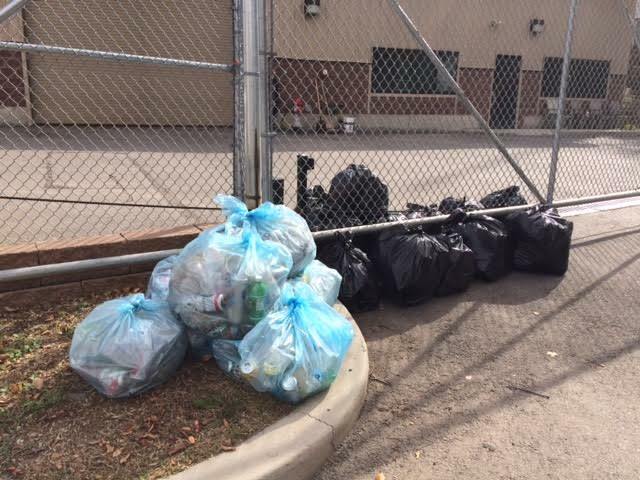 With pleasure we received a note from an avid reader of our blog about how our recent blog post about picking up litter on the daily dog walk inspired him to do the same. Making a difference is all about seeing a problem and doing something about it. We applaud this Young at Heart activist for demonstrating that any age is the right age to pitch in. 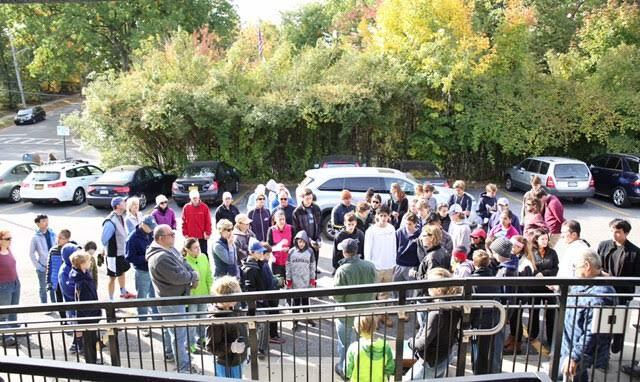 On October 24th at 10 am 60 Pelham residents arrived, ready to tackle the problem of litter. 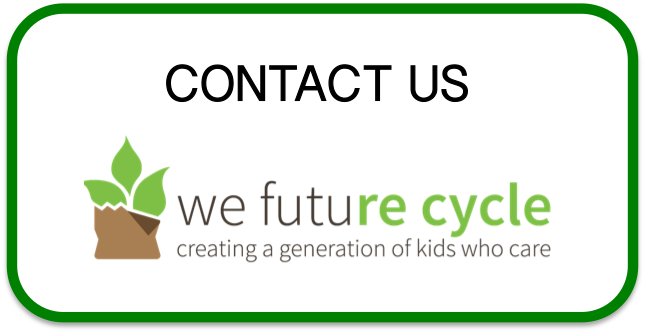 EcoPel, the organizer, joined forces with We Future Cycle to include in this 4th year clean up, also textile recycling. As grassroots, non-partisan organization in Pelham NY concerned with environmental issues, it is important to get the message out, and this year EcoPel is concentrating on schools and textiles. There is a ground swell of concerned citizens and EcoPel was pleased to have this fantastic turn out. A make shift donation area supervised by students was set up and loads of textiles were brought to be recycled, rather then being disposed of in the trash. These textiles went into a Spin Green Textile recycling bin at the Columbus Elementary School in New Rochelle. A win win situation. 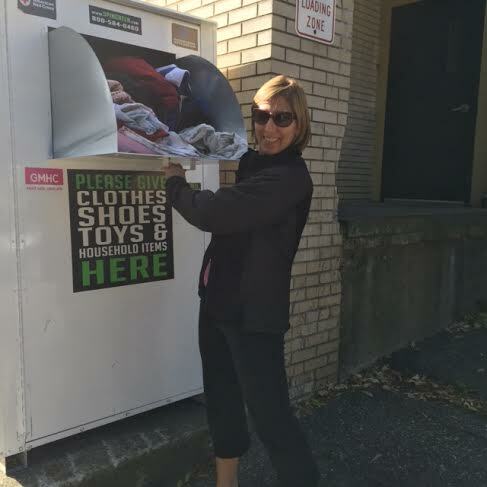 Pelham was able to divert textile from the waste, educated their citizens and Columbus is able to receive the revenue from the bin for their students. EcoPel successfully integrated the use social media to spread the word to the adults in the Pelham community as well as the local papers. This year EcoPel also integrated the local church into their campaign, as the event was featured on the weekly church bulletin. All of Pelhams High School and Middle Scholl students are required to complete community service hours to graduate. EcoPel contacted many teachers and guidance counselors at the schools to get the word out to the students. At the events the names of the participating students were collected so appropriate credit can be given. A success event, due to diligent work of the EcoPel members getting the word out, and now the knowledge that textiles are recyclable is starting to grow roots. Way to go!